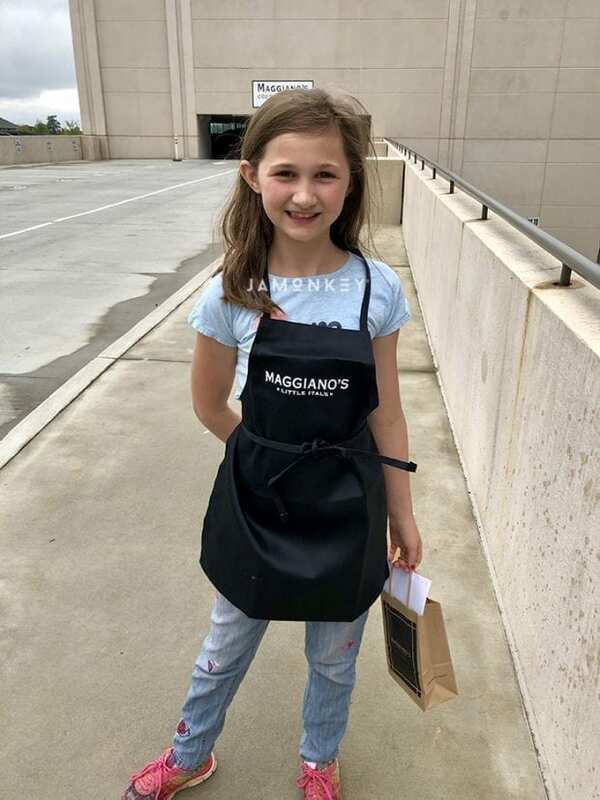 We were invited to try out a kids cooking class at Maggiano's Little Italy in Buckhead Atlanta. 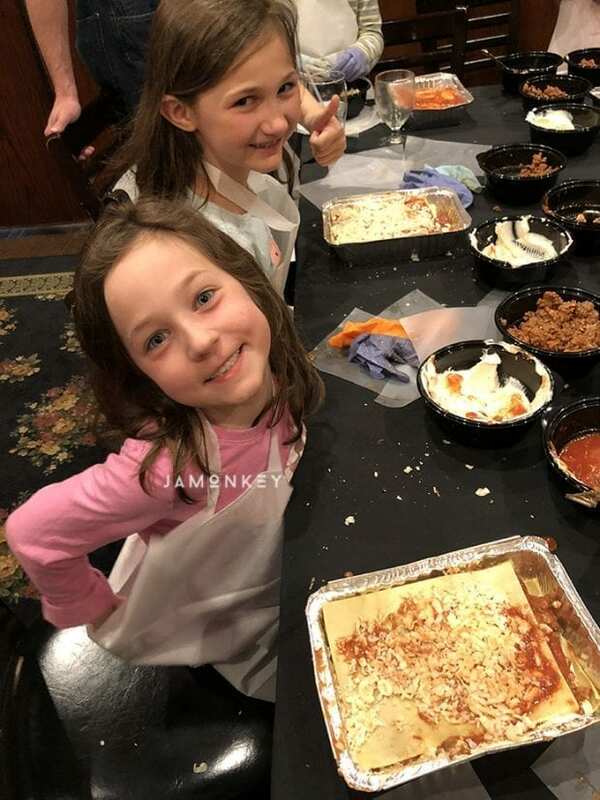 The girls had such a blast making lasagna with executive chef Thomas Wenning. When we first arrived, the girls decorated and made chef's hats. They got to decorate the hats however they liked before class started. We then got to know Chef Wenning and how he ended up at Maggiano's. He used to be a chemistry major and decided he liked cooking and baking better, which isn't far off from chemistry because cooking and baking are a science in themselves! After we got to know the chef a little better, we ate lunch and got a tour of the restaurant that included the kitchen and the bakery. The kids got to see and hear about all of the workings and behind-the-scenes of Maggiano's. Check out our video from the day! Then it was time to assemble our lasagna's. First, the crew laid out all of the ingredients we needed to make the lasagna. They even had a vegetarian option! The process was really cool because chef Wenning didn't just tell them how to assemble the lasagna, he took care in explaining why it was layered the way that it is and what happens during cooking. It was an excellent little science lesson with our kids cooking classkids cooking class. We layer sauce onto the bottom of the pan so that the pasta doesn't stick to the pan. The ricotta cheese blend is a mix of ricotta cheese, eggs, garlic, salt, and pepper. This layer acts as the stabilizer for the lasagna. After a few layers, we top the lasagna with the final pasta sheet and sauce to keep it moist. Lastly, we ended up with three of the most delicious lasagna's we'd ever eaten. We were able to freeze a couple for later as well. The kids really enjoyed the class and received a certificate at the end. They also got Maggiano's aprons to take home. What's cool about these cooking classes that Maggiano's offers are that if they go to 8 classes, they order you junior chefs coat! Such an excellent gift for kids that love to cook. We plan on trying some of the other kid's classes. They offer other great classes like making pasta or holiday cooking classes. 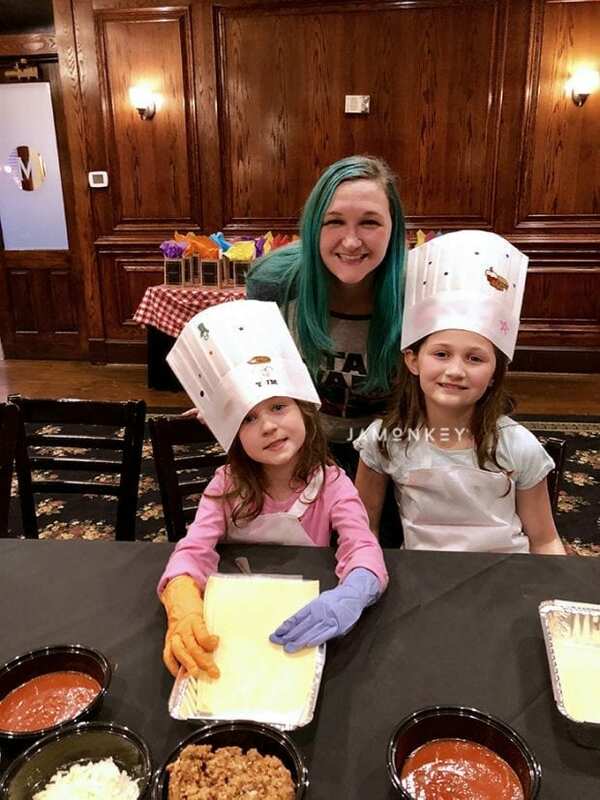 Find a Maggiano's Kids Cooking Class near you!